Being a skincare scientist is like being a chef to skin. Really! Skincare science is just a different kind of nutrition, one that your skin drinks up. Just don’t try it the other way around ‘eh, spaghetti bolognaise is not easily applied *wink wink*. Skincare science is all about knowing which ingredients are a match made in heaven [1+1 = 3], which work against each other and which ingredients just plain cancel each other out! What does all that mumbo jumbo mean? 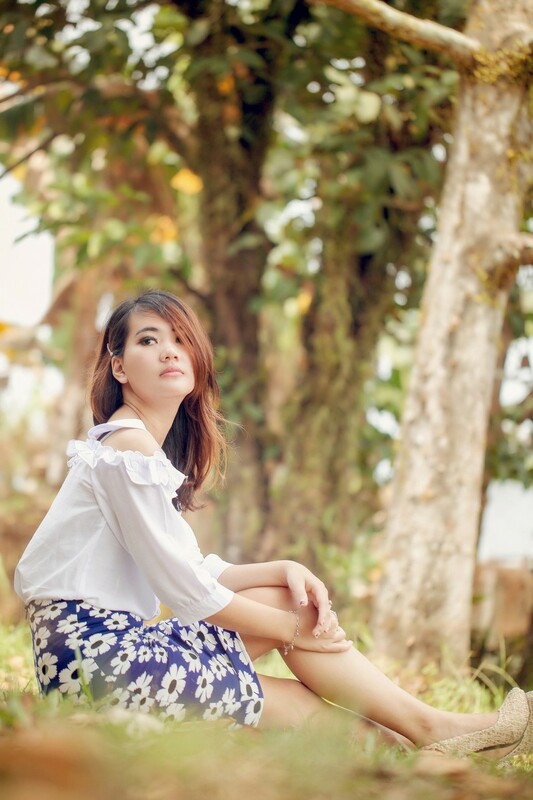 Simply don’t use Vitamin A products [also known as Retinol] with any kind of acidic ingredients, the key ones being – AHA’s (glycolic, lactic acid), BHA’s (Salycylic acid) and Vitamin C (as ascorbic acid). What is going on here then ‘eh? There are 2 reasons why this mix will be like ‘chefing-up’ a chocolate and apple cider vinegar dessert. 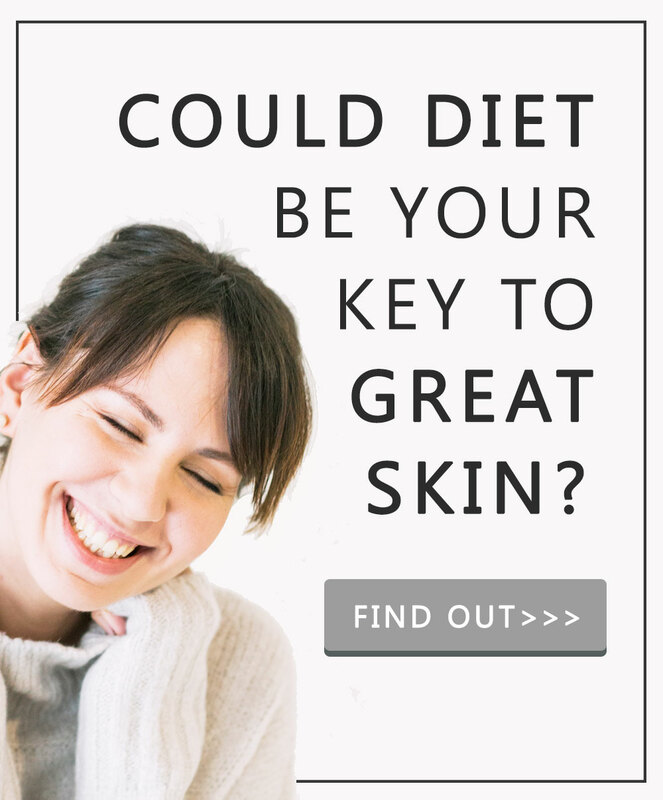 First, they will all encourage your skin to exfoliate. This is the key reason for not using Retinol & AHA’s/BHA’s together. It is like turning your garden sprinkler system from ‘hydrated lawn’ to ‘power hose’ mode. Your skin ‘grass’ ain’t going to be surviving that for long! Using skincare ingredients that have a very similar function together is asking for trouble. Imagine [well actually I can just ‘remember’ this… oh dear…] cutting your fringe [realising its wonky!] and then cutting it again. Using too many exfoliating products together will leave your skin irritated, reddened, flaky and sensitive. Especially to light! Light will heighten any skin sensitivity made by this ingredient mix. Secondly Retinol & Vitamin C just don’t work well together. They are clunky. Retinol and Vitamin C used together are a sweet & sour mix that has a lot of ‘relationship’ tension. If you’re cooking up a storm and something tastes a bit too sour, [over excitement with a new lemon juicer maybe?] then because you are a cunning chef-ess master you’d add some sugar to balance it back out again. You kitchen genius are then left with a lovely balanced taste that is neither sour or sweet. This is what happens when you use Retinol and Vitamin C together. Retinol is ‘sweet’ and works best at a pH of 5.5-6, Vitamin C is sour and works its best at a pH of <3.5. Using them together means neither have their perfect skincare stage for their winning performance. THE EXCEPTION: There’s always one that likes to be a little different ‘eh. There are new technologies that will help ingredients to slowly release in your skin. Usually they will put a little jacket on the Vitamin A [microencapsulation] that means the Vitamin C gets to work straight away and then after your skin has balanced back to a normal Retinol friendly pH, those little jackets are still being un-zipped. SO… if you have a product that contains Retinol + Vitamin C in the same bottle and it claims something like ‘time released retinol’ it should work just fine. Want a reminder of this? I don’t blame you *winks*. 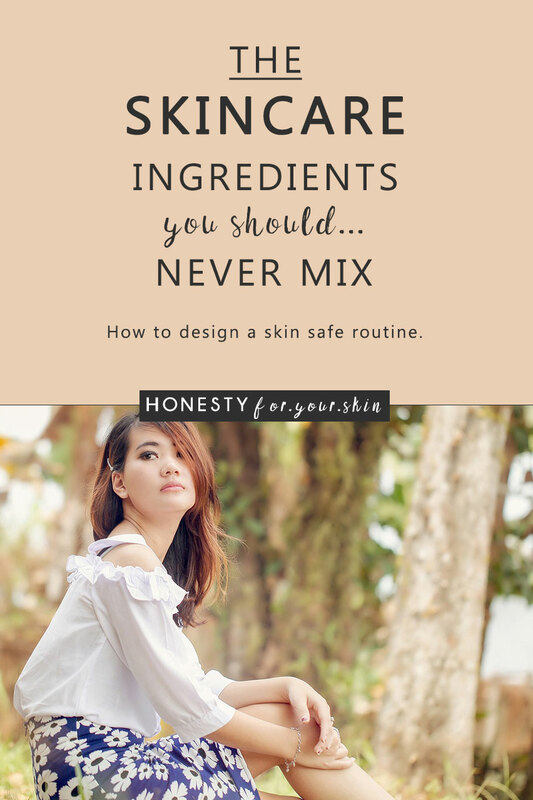 Which is why I’ve created this free downloadable guide that will help you design your perfect skincare routine around the rules of ingredients that don’t mix. Just click here, or download below. This is the same rule as above, just switch Retinol out for Niacinamide. Don’t mix Niacinamide with acidic skincare ingredients like AHA’s/BHA’s and Vitamin C.
Vitamin C is pretty darn famous in skincare and food, but you might not have heard of Niacinamide. 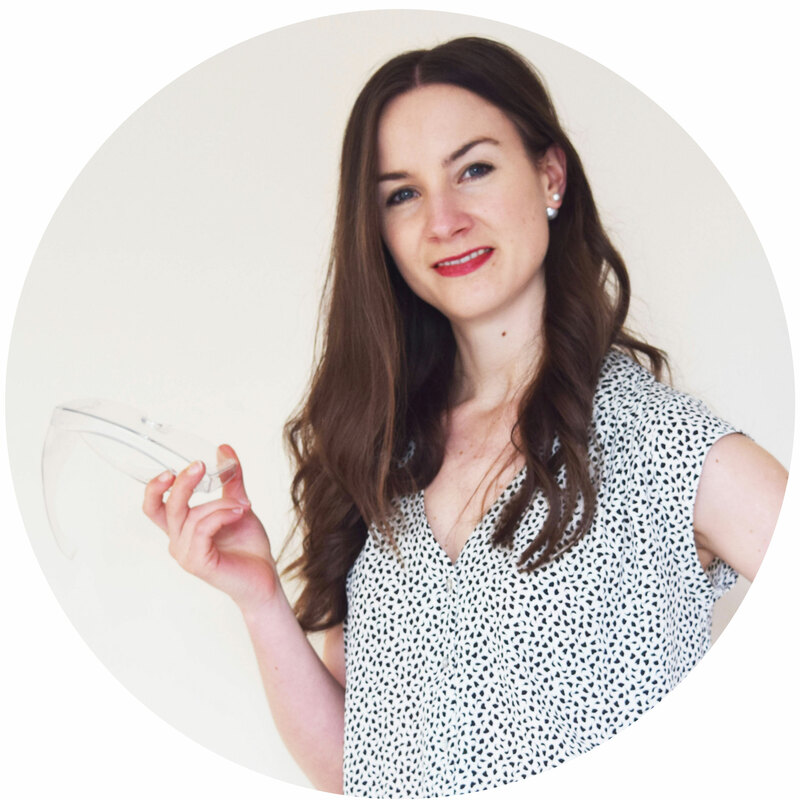 If you haven’t then consider this me handing you a skincare present – Niacinamide is a Mary Poppins bag of goodness for skin, multi tasking anti-aging with skin brightening and even spot fighting! Niacinamide is not just a superhero, it’s a superhero ‘gang’! Niacinamide and Vitamin C are 2 skincare ingredients that have awesome benefits for skin. It’s just together [when Vitamin C is found as L-ascorbic acid] they are not the perfect pair. There’s 2 things going on here..
First is like mixing paint! Do you have one of those childhood memories? You know the ones. You wanted to mix that special colour and it ended up brown! You tried to lighten it back out, mixing in more and more white, and before you knew it you’d ‘manufactured’ a litre worth of ‘still brown’ colour? Imagine Niacinamide as a lovely bright skin giving green and Vitamin C as a vibrant skin loving orange. Both packed with skin benefits but when mixed together – brown! Niacinamide and Vitamin C don’t work well together in skincare because when mixed together they make brown [metaphorically!] and you can’t un-mix them again to get their awesome skin benefits. Mixed together they become ‘in-active’. Secondly, Niacinamide and acidic skincare ingredients have some ‘chemistry’ going on *wink wink*. Literal chemistry. It’s like when you add flour and yeast together, add some heating and you’ve made bread! Well.. when you get Niacinamide and an acidic skincare ingredient together, they ‘cook’ and Niacinamide becomes another ingredient called Niacin that causes skin redness and flushing. PRO-TIP: The common recco’ is to leave at least 30 minutes between these skincare ingredients. My recco’… Niacinamide is great for your morning skincare routine, and the acidic ingredients that can make skin photosensitive are great for pre-bed skincare. With those rules memorised your skincare stage will be perfectly looked after for its best performance every day! Remember that it doesn’t have to mean you ban certain skincare ingredients from your skin diet. Just separate them out into your morning and night-time routine. Skin can get the ‘best of both worlds’, so long as you are a super savvy about your timing.